“The limitation we had with Maria is we had no cash to burn,” said the governor, Ricardo A. Rosselló. Emergency managers and business leaders also are concerned about the logistics of getting aid into Puerto Rico. Maria created a bottleneck at the Port of San Juan, which slowed everything from food to electrical poles. Manuel Reyes Alfonso, executive vice president of MIDA, the island’s food industry association, said wholesale and retail businesses continued to experience delays in receiving cargo. “We are not where we’d like to be, or where we should be,” he said. He worries about a trucker shortage and about slow fuel delivery for generators. Puerto Rico had fuel after Maria, but no easy way to get it to people, leading to endless lines at gas stations and a black market for diesel sales. FEMA had to bring in a fuel barge for its operations. Food could also be scarce again, Mr. Reyes said, because Puerto Rico continues to impose a tax on inventories. Eliminating the tax could increase food stores to an average of 37 days from 26, according to a survey that the food association conducted of its members in February. A legislative effort to do away with the tax has stalled, Mr. Reyes said, in part because lawmakers have yet to figure out how to make up for the lost revenue. Puerto Rico officials worry that the island remains vulnerable to another storm because repairs to the power grid have been slow in some areas, including Las Piedras. Rodrigo Masses, president of the Puerto Rico Manufacturers Association, said he had advised businesses to double their fuel storage capacity, keep their generators in shape and designate an emergency contact off the island to relay information in the event cellphone service fails again. 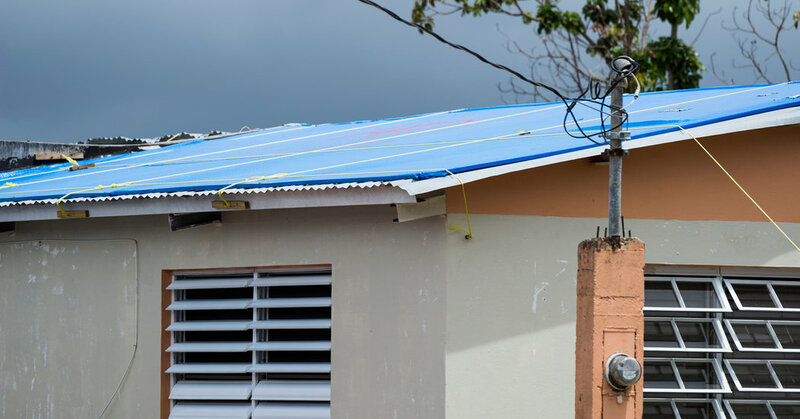 Once the Corps of Engineers departs, the Puerto Rico Electric Power Authority, known as Prepa, will be tasked with completing unfinished repairs to the power grid. At a hearing this week of the Senate Committee on Energy and Natural Resources in Washington, lawmakers sounded skeptical that Prepa, which has come under fierce scrutiny over its early response to the storm, is up to the job. Representative González-Colón has asked FEMA to extend the Corps’ stay. “We sure want to know that you really are ready,” Senator Lisa Murkowski of Alaska told Prepa’s new chief, Walter Higgins, at the hearing. Mayor Miguel López, who is known as Micky, recently blocked two of the three power crews from leaving his town. “There was no other option,” said Mr. López, whose unorthodox strategy succeeded in keeping the linemen at work. His director of emergency management, Xavier Muñoz, said the one upside of Maria was that it had scared residents into taking hurricane plans seriously. September 26, 2018 Comments Off on Will we soon be renting rather than buying our clothes?